Doug Weaver, (B.A., M.Div., Ph.D.), is Professor of Religion, Director of Undergraduate Studies, and Coordinator of the Baptist Studies Center for Research in the Department of Religion at Baylor University. Dr. Weaver is currently serving as president of both the National Association of Baptist Professors of Religion (NABPR) and the Baptist History and Heritage Society (BHHS). In August 2015 he was named Director of the J.M. Dawson Institute of Church-State Studies. Weaver is a native of Virginia and earned a BA at Mississippi College (1978) and the M.Div. and Ph.D. degrees from The Southern Baptist Theological Seminary (1981, 1985). After teaching at Baptist-related colleges in Virginia and Georgia, Dr. Weaver came to Baylor University, Waco, Texas, in 2003. He teaches both at the undergraduate and Ph.D. levels and mentors graduate students studying Baptist and Pentecostal history. Dr. Weaver's most recent publication (as editor/contributor) was Mirrors and Microscopes: Historical Perceptions of Baptists (Paternoster Press, 2015). Other books include In Search of the New Testament Church: The Baptist Story (Mercer University Press, 2008) and an annotated edition of E. Y. Mullin’s Axioms of Religion (Mercer, 2010). Dr. Weaver was also one of the editors of The Acts of the Apostles: Four Centuries of Baptist Interpretation (Baylor University Press, 2009) and Exploring Christian Heritage: A Reader in History and Theology (Baylor University Press, 2012). His first book, The Healer-Prophet, William Marrion Branham: A Study of the Prophetic in American Pentecostalism (Mercer University Press, 1987), was reprinted in 2000. He has numerous articles in journals, most recently in Perspectives in Religious Studies, Baptist History and Heritage, Wesleyan Theological Journal, and the American Baptist Quarterly. 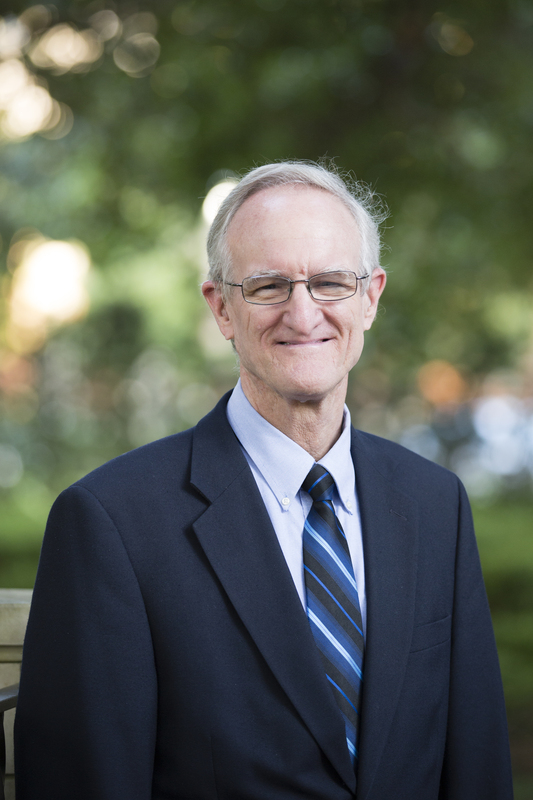 In recent studies, Dr. Weaver has explored the importance of freedom of conscience and the relationship of personal voluntary faith and ecclesiology in Baptist life. If you have questions for Dr. Weaver about the J.M. Dawson Institute for Church-State Studies, please contact him at: JMD@baylor.edu. Anna Maria and her husband, Daniel, moved from North Carolina to Waco in the summer of 2017. Daniel started in the Baylor Religion Department's PhD program, while Anna Maria joined the department's administrative staff in the Undergraduate Studies office with Dr. Weaver. In March 2018 she started taking over various administrative duties for Church-State Studies. If you have administrative questions about the J.M. Dawson Institute for Church-State Studies, please contact us at: JMD@baylor.edu. If you have a question about the Religion Department's Undergraduate Studies, please email: anna_glover@baylor.edu.